"Watermelon House" located at 1112 Q Street, NW (near Logan Circle), Washington D.C. provides an unusual and wonderful sight to the passer byes. 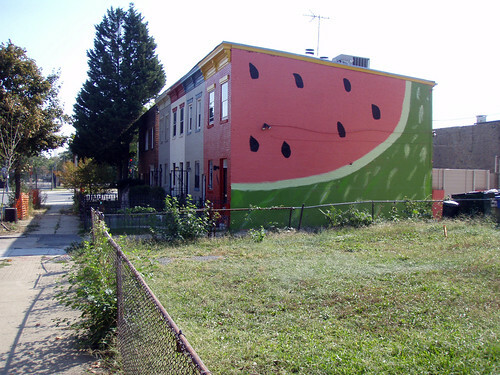 The end row house has large watermelon mural painted on the side of the building. Reportedly the owners, Wade Wilson and Robert Banaszak wanted the house to be painted red but were unhappy with the final outcome. 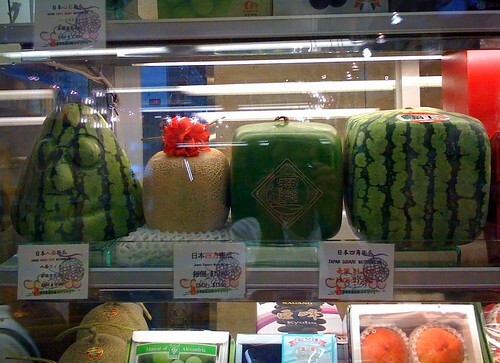 They used their ingenious thinking and converted the red walls to a large watermelon. The watermelon house reminds me of a news item I read in BBC about square watermelons being produced by farmers in Zentsūji, Japan. These are created by growing these in cubic glass containers. Because of unusual shape these are easy to transport, store, refrigerate, cut and slice with no chance of being rolling away from the table. 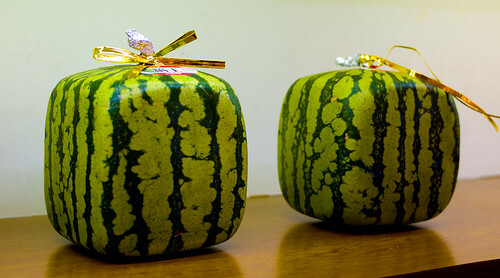 It is however understood that these are expensive - almost double the cost of normal watermelons.